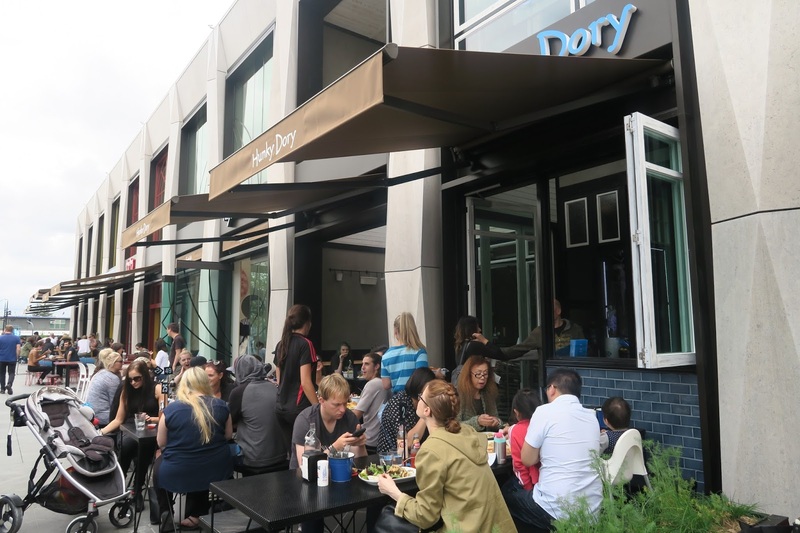 Hunky Dory is another new addition in Eastland’s Town Square, and it’s actually a franchise restaurant. I’m pretty sure I’ve been to their other stores before the blogger days, but it’s essentially a fish and chips shop, providing some healthier alternatives too. 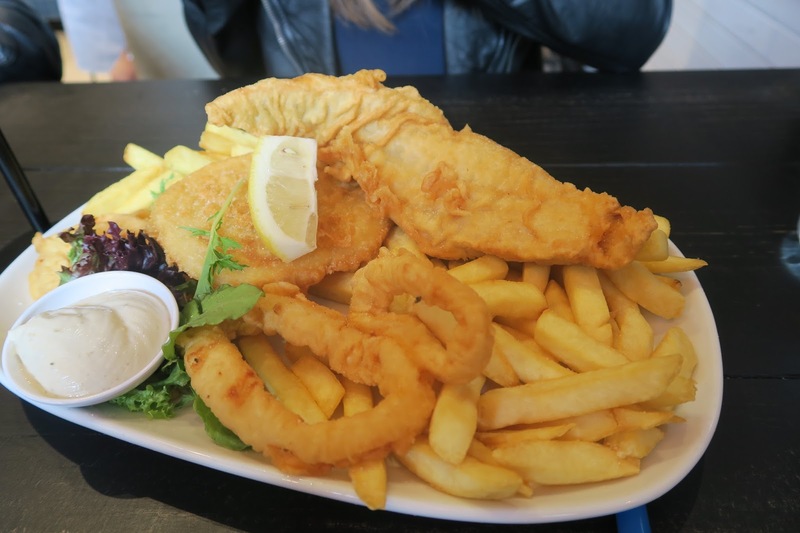 The Bay is pretty much your standard fish and chips pack, with a fillet of flake, two calamari rings, potato cake and chips, with some tartare sauce on the side. All the elements were okay on the plate, although there were nothing special at the same time. The chips could’ve done with some more salt, the batter on the seafood wasn’t exactly the crunchiest. All in all, it’s what you would expect from a mediocre fish and chips store. 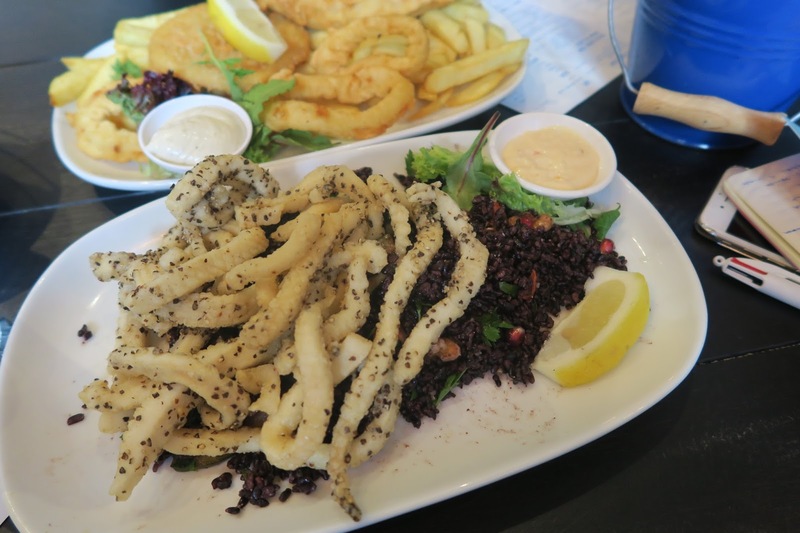 The salt and pepper calamari fared quite a bit better, the seasoning was on point, and the light batter gave just enough crunch to the tender calamari strips. The black rice salad, on the other hand, was quite bland, and we left most of on the plate. 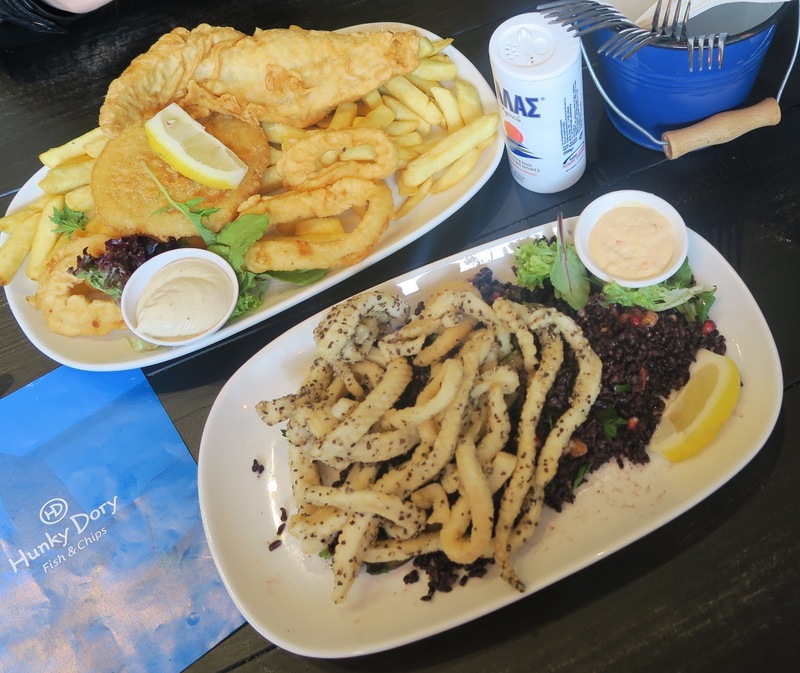 If you’re after fish and chips served in a proper restaurant, where the food is brought to your table with some friendly service, then Hunky Dory might be where you want to visit. However, if quality traditional fish and chips is more of a priority on your list, then I suggest you look else where. 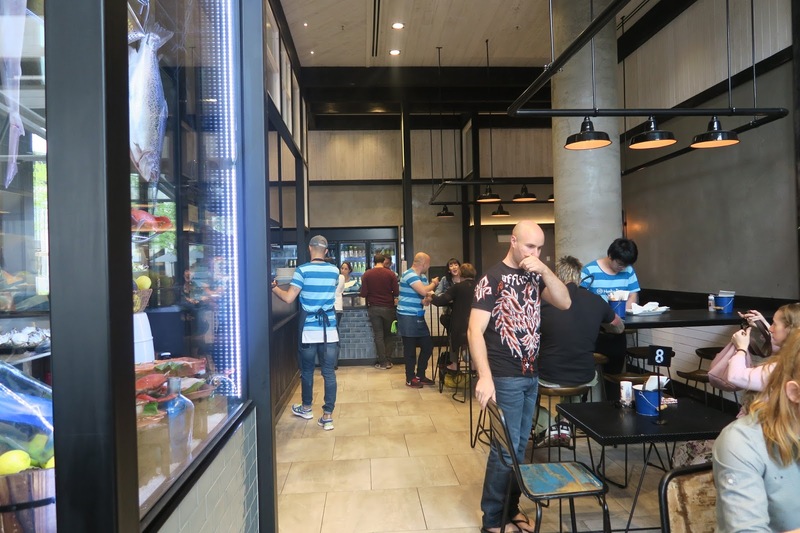 Huxtaburger is located in Eastland’s Town Square, which is right opposite Ringwood Station.